When Sally came to me to share her belief in woman’s power to give birth naturally, she was asking me to convince her husband to come for HypnoBirthing class because her husband Gabriel didn’t believe she could give birth without epidural. 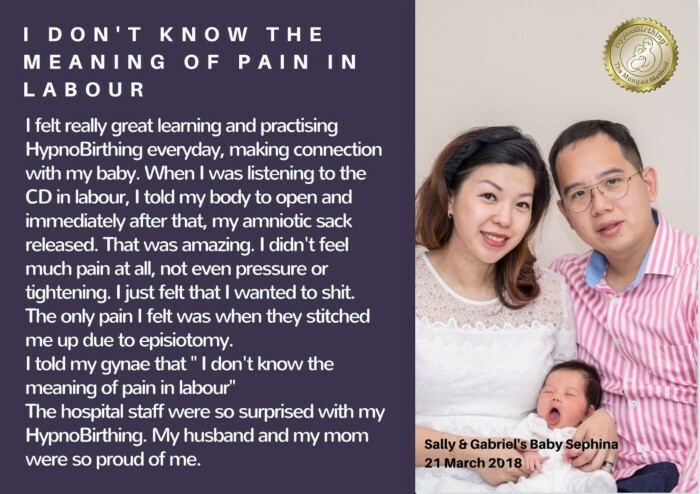 Although Gabriel thought she would give up before the labour started, he fully supported her decision to prepare to welcome their baby into a calmer and healthier way. Birth is about bringing family together. Watch Sally and Gabriel shared their birth experience on 24 November 2018 on Facebook.